Student Loan Forgiveness programs help the students to clear their student debt through various loan forgiveness and repayment programs. Learn about program types, eligibility, interest rates and more. Are you looking for opportunities which can help you clear your student debt? If yes, then the student loan forgiveness programs can be your savior. It can help you with forgiving the loan amount depending on the program type you chose. It obviously doesn't happen overnight and isn’t an easy process, hence, we’re here to help. Loan forgiveness can only work if you’ve taken a federal student loan. This is the special benefit of federal loans. Under special conditions, the federal government can forgive the loan up to some extent, and in some cases, it can forgive the entire amount. There are many kinds of student loan forgiveness programs for people from different backgrounds such as law, education, public service, and more. Basically, if you’re not required to pay the loan amounts any longer due to your work or job, this is called loan forgiveness. Since there are plenty of programs available, you may find difficulty in choosing one and finding the right place to start from. Hence, here is a list of the best programs to choose from, according to your needs and eligibility. Clearing student debt can be challenging and scary all together, but it’s not impossible if you follow the right guidelines. So let’s get started. The professionals working in the public sector are entitled to the public service loan forgiveness (PSLF) programs. It means that if you’re employed by a governmental or non-governmental organization, you can get loan forgiveness under this type of program. There are several jobs that qualify for PSLF programs. It includes public school teachers, volunteers, management analysts, legal secretaries, medical directors, and many more government employees like that. If you pay your loan on time based on your income, you may be given this type of forgiveness. It can only happen after 120 payments, which means if you’ve paid your direct loans for 10 years. It basically forgives your remaining balance of direct loan payment after you’ve made 120 payments under an eligible repayment plan while being employed/working full-time for a recognized employer. All federal direct loans qualify for this program which includes Direct PLUS loans, Direct Subsidized, and Unsubsidized loans, and Direct Consolidation loans. Are you eligible for PSLF? In order to qualify for this program, you need to be a full-time employee at any governmental agency, be it federal, state or local. It also includes the non-profit organizations which have been tax-exempted under section 501(c)(3) of Internal Revenue Code (IRC). It should be providing acceptable public services. It includes designated organization such as public charities or private foundations. It includes corporations, unincorporated associations, trusts, and community chests. The nature of employment does not matter. If you pay the loan for 10 years on an income-driven repayment plan, you can apply for PSLF. Working in the public sector alone cannot qualify you for this program. The payments made for this program must be made under the following plans. Several steps have to be taken for public service loan forgiveness programs. They are given below. Completion of the Employment Certification form - The frequency of submission of employment certification form depends on the initiation of job in public service, switching of employers annually. Enrollment in an income-driven federal student loan repayment plan - Public service loan forgiveness is granted only for the Federal Student Loan Repayment Plan. Majority of the 120 required payments have to be made for the repayment plan. Consolidation of federal student loans - Perkins Loans, FFEL Loans, student loans borrowed before 2011 are to be grouped into a Direct Consolidation Loan. Refinancing of private student loans - An action plan has to be created for private student loans. Even if you are enrolled in public service loan forgiveness, an action plan has to be still there for private student loans. The program was initiated under the college cost reduction and access act of 2007, to help professionals remove their debt burden by working full-time in public service. The earliest time in which borrowers could receive forgiveness under the program was on October 1, 2017. As of Sept 30, 2018, nearly 206 borrowers were granted student loan forgiveness. A candidate becomes eligible to apply for PSLF, after he has completed 120 on-time monthly payments, under a qualifying repayment plan for almost a period of 10 years. Most commonly known as Income-driven repayment (IDR), these repayment plans are bound to your loan repayment plan. You can be eligible for this kind of program if you have a qualifying repayment program. Income-driven repayment plans depend on the eligibility criteria that you need to meet. In case, a student has no money amount left at the end of the loan term, then he/she may not be eligible for the student loan forgiveness programs. The forgiveness given on these plans is taxable income. In order to apply for the loan forgiveness programs, you can go to studentloans.gov or call up your student loan lender. Income-based repayment came into existence in the year 2009. It helps to regulate or manage the amount that a person needs to pay monthly, based on your family size and discretionary income. The loan doesn’t exceed 10%-15% of the discretionary income. Loans can be forgiven after 25 years if the loans are from July 1, 2014, and payment will not be higher than 15%. If the loan was borrowed after 1st July 2014 then it will be forgiven after 20 years and payment will not be higher than 10%. This program was passed into the law under the leadership of Mr. Barack Obama. It gives the opportunity to pay the student loans on the basis of the monthly income. It is implemented for loans that were taken way back in 2007 and after. Loans can be forgiven after 20 years and are capped at 10% of the discretionary income. The loans can be forgiven if you have made qualifying payments for 20 years. RePAYE program is an income-driven based plan which helps in repayment of the student loans. It is an extension of the PAYE program as it was revised in 2015 and is an effort to increase the eligibility to many more loan borrowers. It has become available for people since 17th December 2015. The loan can be forgiven in 20 years. It limits the payments to be 10% of the discretionary income. There is no cap on payments, if your income increases, so can your payments. ICR is implemented to make payment easier for the students who have jobs with low salaries or intend to get jobs with low wages. The monthly payment is decided by the number of people in the house, income, and tax filing status. The interest rate is fixed and the payment is capped at 20% of the discretionary income or amount fixed for monthly payments for a 12-year term. The loan can be paid for a period of 25 years in max. The amount left is forgiven or discharged. Federal Perkins loan programs can be forgiven on a certain basis. After every yearly service, some percentage of the amount is forgiven through this program. It is a common type of program among teachers. Other occupations who can qualify for this include Military Service, Nurse, Firefighter, Public Defender, and many others. Over the time 100% of the loan can get canceled. There are several student loan forgiveness programs specifically designed for teachers. This forgiveness program helps the teachers to pay their student loans. If you’re teaching in a school and have completed five academic years, you can apply for this program. The teacher must be working in a low income elementary or secondary school for five consecutive years to be eligible for this. The loan forgiveness amount may be up to $17,500. You can combine both teacher loan forgiveness and public service loan forgiveness programs. For this, you need to work for 5 years for teacher loan forgiveness and later can take up PSLF for 10 years. Nurses are entitled to a number of loan forgiveness programs which are given by the federal government. Some of the programs that are available for them are the NURSE Corps Loan Repayment Program, Perkins loan cancellation, Public Service Loan Forgiveness, Health Resources and Services Administration Programs, and more. The nurses are required to have attended an accredited school. Advanced Practice Registered Nurses (APRNs), Registered Nurses (RNs) and Nursing faculty are eligible for this program. You may receive assistance for both the federal and private student loans. HRSA or Health Resources and Services Administration, part of the Department of Health and Human Services provides repayment assistance to the nursing professionals. You must be a registered nurse and must’ve been in the service for at least 2 years. The student loan may be forgiven up to $50,000 in the form of loan repayment. The amount received can be 60% of your balance if you’ve worked for two years full time. If you commit for the third year of service, you can get an additional 25% of the loan amount. NHSC gives student loan repayment assistance to nurse practitioners which are tax-free. It aims to suppress student debt, promote health care professionals and support them. It provides help to nurses who want to work in a community which needs high-medical assistance. The professional eligible for this program must be a certified Nurse Midwife, Psychiatric Nurse Specialist, or a Primary Care Nurse Practitioner. Licensed professionals can earn up to $50,000 as a student loan repayment amount if they make a commitment to work at an approved NHSC-site with the course of NHSC Loan Repayment Program (NHSC LRP). They’re required to work for 2 years. The funding amount you will receive depends upon the area you’re working in. The selected candidates can serve as mental/behavioral health clinicians, primary and dental medical care. They can serve in the site for more than 2 years as well if they wish to and get more loan repayment amount. The funding depends on the NHSC approved site HSPA score. For a score of 0-13, the full-time workers can earn up to $30,000. Half-time workers can get up to $15,000. For a score of 14-26, full-time workers are entitled to amount of $50,000 and half-time workers can earn around $25,000. The LRP program encourages certified and specialized nursing professionals to work in the areas of high medical needs. The professionals can work in these areas and pay off the student loans they are burdened with. It is an updated version of the Nursing Education Loan Repayment Program (NELRP) and was created as there was a shortage of nurses in the country. This program covers federal and private student loans. Hence, Grad PLUS loans, Stafford loans, and Consolidation loans fall under this program. Registered Nurses, Nurse faculty members, and Licensed Nurses are eligible to apply for LRP. The nurses are required to attend an accredited institution. You’re required to assist in the program for 2 years and can extend the program for a third year as well. You need to agree to work in a critical shortage facility, a high need area if selected. You may also be asked to work in an accredited nursing school. The amount for repayment of student loans given to you will be 60% of the debt. Hence, your 60% of debt can be cleared in 2 years. If you choose to continue for the third year, an additional 25% of the loan amount would be paid off. There are several programs offered at the state-level for the welfare of the Nurses. Programs such as the Illinois Nurse Educator Program helps in qualifying nurses and nurse-educators in Illinois. The amount granted is $5,000. The program awards a maximum of $50,000. To avail this offer you must be a Primary care Doctor, Dentist, Mental or Behavioral Clinician. During the last year of the medical service, students can seek significant loan assistance from the Students to Service Program. This program grants an amount of $120,000. To receive this qualification, the candidate has to work as a primary health care provider for three years. For more information on this, refer to student loan forgiveness programs for Nurses. Health care professionals receive a variety of student loan forgiveness and repayment assistance from the Military. Active Duty Health Professions Loan Repayment Program grants $120,000 to army Doctors. $275,000 is granted in loan assistance for medical students. Doctors and other Healthcare professionals also receive assistance from the State LRAPs across the country. Massachusetts loan forgiveness program provides up to $50,000 for those who volunteer to work in underserved areas. Lawyers also have a set of financial assistance programs to aid them in their educational expenses. One such program is the Department of Justice Attorney Student Loan Repayment Program. After working at the department of justice for three years, lawyers can earn up to $60,000 through Attorney Student Loan Repayment Program. To be a part of the repayment program, the student has to have at least $10,000 in federal loans. This program helps lawyers enrolled in the public sector. A public defender can for sure earn from $10,000 to a maximum of $60,000. Herbert S Garten Loan Repayment Assistance Program aims at repaying student loans of almost 70 attorneys each year. The amount that is granted is a maximum of $5,600 per year. A few lucky recipients are selected each year. Lawyers might also qualify for state or local repayment assistance programs. 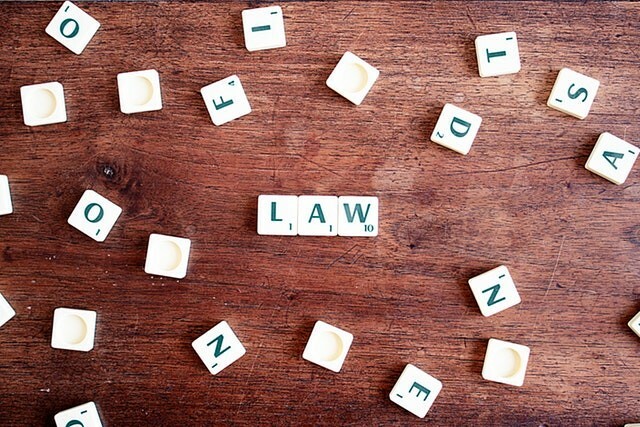 Eligible lawyers in Florida can receive up to $5,000 from the Florida Bar Foundation. Graduates from the University of Virginia, School of Law, who receive less than $55,000 can make use of the 100% student debt coverage. Here students are encouraged to work for public services. In exchange for two years of service, most LRAPs award loan assistance to the candidates. Military student loan forgiveness and assistance is granted for army and navy doctors. Through this program, armed force members and veterans receive benefits. The loan repayment program of the Army College helps to pay one-third of loans every year for three years. It was back in the 13th century, that student loans were first introduced and the scholars had to deposit every precious thing that they had as security in order to secure their educational funding. Later in 1838, Harvard University students could apply for a loan without submitting collateral. Zero interest loans were granted to Ivy league students who could not bear their educational expenses. 1950's - The first step for providing financial aid for US students can be traced back to those times when the GI Bill was introduced in order to attract the youth into the military. Through this program veterans received almost $500 to cover their educational expenses. Later in 1952, the benefits of the bill were granted to the Korean war veterans in 1952. The National Defense Education Act was introduced in 1958 and aimed at the study of science, math and foreign languages. 1960-90s - The Higher Education Act came to existence in 1965. The act was signed by President Lincoln B Johnson. Servicing of these loans first happened in 1973 as the Student Loan Marketing Association. The basic educational opportunity grant was first introduced in 1980. After the reauthorization act of Higher Education of 1965, the 1992 legislation resulted in two milestones namely the creation of free application of Federal Student Aid and the addition of unsubsidized Stafford Loans. 2000s - The Economic Growth and Tax Reconciliation Act of 2001 was signed by George W Bush. The college cost reduction and access act were introduced in 2007 with key additions including income-based repayment and public service loan forgiveness. The Dodd-Frank Wall Street Reform and Consumer Protection Act of 2010 was signed by Mr. Barack Obama in view of the Consumer Financial Protection Bureau. Steps are taken to protect borrowers from abusive or deceptive financial practices thus offering essential education to customers. Some jobs can easily help you win a student loan forgiveness. Some of the jobs are given below. Federal Agency Employee - If these employees are finding it difficult to find open slots, then they are allowed to offer Student Loan Repayment Assistance. To receive the benefits, the new employee should sign a contract for a minimum duration of three years. $10,000 is offered per employee for federally insured loans, with maximum assistance of $60,000. Public Service Worker - These employees receive forgiveness through the Public Service Loan Forgiveness Program. The program is available to every government worker at any level of administration. At least 120 qualifying monthly student loan payments are to be made before applying for the PSLF Program. 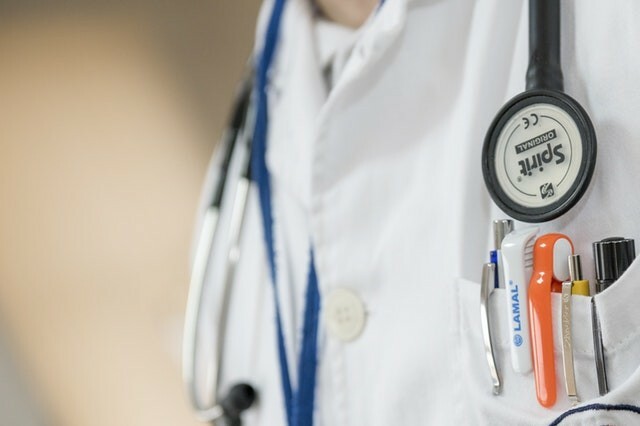 Doctor / Physician - The Navy Financial Assistance Program is an example wherein an annual grant of $45,000 is received by the candidate which can be put toward medical school debt. Lawyer - Other than the Public Service Loan Forgiveness Options some other sources of loan repayment include Attorney Student Loan Repayment Program by the Department of Justice, John R Justice Student Loan Repayment Program and many more. Automotive Professionals - SEMA Loan Forgiveness Program - To receive this benefit one has to be both automotive aftermarket industry manufacturer or a member of the Specialty Equipment Market Association. The program awarded $160,000 to 60 winners in 2017 for scholarships and loan forgiveness. The candidate must be a SEMA employee for at least a year, should hold a degree or certificate of completion from a college or technical school and should have graduated with at-least 2.5 GPA. Nurse - If you are a Registered Nurse, Nurse Practitioner or Health Professional shortage area facility nurse, you may be eligible for student loan repayment assistance through the Nurse Corps Loan Repayment Program. Those who opt for Nurse Corps Loan Repayment Program will receive 60% of the qualifying student loan balance forgiven in exchange for a minimum 2-year service commitment. Teacher - By being eligible for Perkins Loans Teacher Cancellation Program, the candidate could be eligible for 100% cancellation of the loan. Dentist - The American Dental Education Association has already found that the dental student loans owe to a whopping $285,184. Pharmacist - Pharmacists also take a large amount of complete education. Veterinarian - Several programs including the student loan repayment assistance to vets, which amounted to $25,000 for three years was offered. Veterinarians who agree to work in shortage areas are meant to help the North Dakota State Veterinarian Loan Repayment Program. As quoted from the American Veterinary Medical Association, 1/5th of the veterinarians leave school owing more than $200,000 in student loans, while average debt for graduates in 2016 was $143,758. Relief in the form of forgiveness or repayment assistance could be a huge help for financial independence. Payment should be made in the stipulated amount at regular intervals - Paying more than what is due can make you ineligible to apply to the program. Moreover, paying the due for two months at one stretch doesn’t equalize to two payments. Only those applicants who have made 120 payments during ten continuous years are eligible to apply. Choose wisely the repayment plan - Because a wrong repayment plan can increase your payments over time. Since the consolidation is technically a new loan, previous payments do not count for PSLF. If the certification paperwork is not filed every time you change jobs, that might also mean your credits are not properly on file. The details of your loan repayment can be viewed at the FedLoan Servicing. The only servicer that handles the PSLF servicing is the FedLoan Servicing Center. After the submission of an Employment Certification Form, the loans should have transferred to FedLoan. Verify if the loan is with the FedLoan. If not, submit an Employment Certificate for Public Service Forgiveness and submit it to the Department of Education. If you have PSLF credits denied, there are different steps to be followed. Try to determine the reasons behind fewer credits. It is necessary to identify the missing credits from the websites or letters you have received from the FedLoan or Department of Education. Usage of the wrong repayment plan, possession of wrong loan type, incorrect submission of employment certification forms, advance payments on loans, incorrect submission in forbearing or default while certifying income and family size each year can be a few reasons why your application gets rejected. Try to find out the reason why your credits have been incorrectly applied. Write down the name of the person you talk to along with the date and a record of what you have discussed. If further no solution is reached, contact the Department of Education's federal student aid ombudsman group. The discrepancies are resolved with loan balances and payments. An official audit can also be requested from the Fed loan. A complaint is filed with the consumer financial protection bureau. It is necessary to call the congressional representatives and both senators to speak to constituent services. Congressional staff can really get things moving within the federal bureaucracy. You can also appeal under Temporary Expanded Public Service Loan Forgiveness. This can be used by borrowers who used the wrong repayment program and did not have their PSLF credits applied because of this. The steps to be followed to appeal for PSLF under TEPSLF program are given below. In the first step, you need to qualify for TEPSLF. Some of the steps for qualification are as follows. Find out if you qualify for TEPSLF. This program is useful for people who met other program requirements but were using non-approved payment plans. You will need to complete 120 payments with a qualifying employer. You are eligible for this program only if your payment plan was wrong and not for any other reason. The Department of Education accepts some requests for review after borrowers submit PSLF forgiveness applications before they are denied. After the mail has been sent wait for the proceedings of the follow-up program. One other way to overcome the debt burden is to get the student loans completely closed or discharged. The several occasions wherein the student loan gets discharged includes closed school discharge, student loan discharge in bankruptcy, loan cancellation for total and permanent disability, discharge for false certification or unauthorized payment, unpaid refund discharge, borrower defense discharge, student loan discharge due to death. Income-driven repayment programs reduce monthly payments significantly. But in case if the bearer doesn’t have qualifying federal loans, you can consider putting your loans into deferment or forbearance. It would also become essential to speak with your lender about temporary or permanent forbearance. 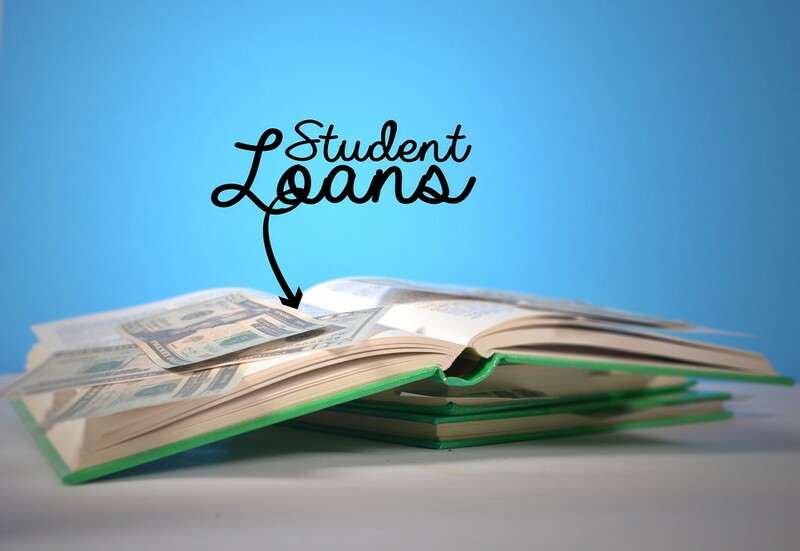 Student loan refinancing is another option for conquering your debt. Due to refinancing, you will also be able to adjust your monthly payments and choose new repayment terms. New repayment terms can be between 5 and 20 years. There are also possibilities for qualifying for a lower interest rate than you have now and helps you to save money on your loans. However, if federal loans are refinanced they become private, and hence lose access to federal forgiveness programs and repayment plans. 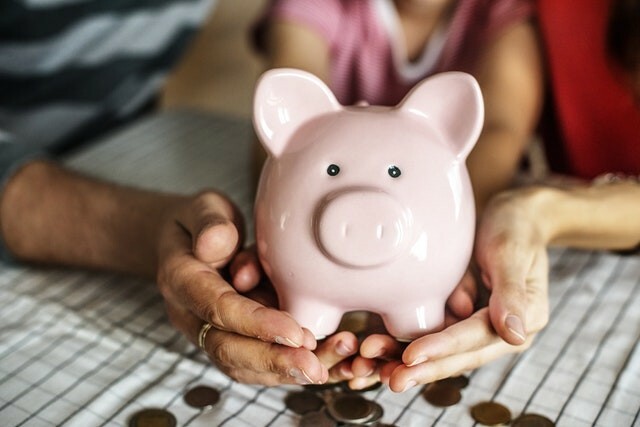 If this sacrifice can be tolerated, then refinancing is one of the best ways to restructure your debt and potentially save money on interest. Include your date of birth as well. FedLoan Servicing can be contacted via phone using 1-855-265-4038. Like the two sides of a coin, student loan forgiveness programs also have disadvantages. Some of the downsides of the program are given below. The candidate might have to wait for a long time to receive forgiveness. To make use of the forgiveness plans, the candidates should have completed years of service or repayment before debt cancellation. The Teacher Loan Forgiveness Program offers between $5,000 and $17,500 toward your debt but has the shortest service requirement of five years. It would definitely pin your hopes if you don’t qualify for loan forgiveness after 20 long years of payment. So, it would be highly recommended to pay your debts fast. If you are hoping for loan forgiveness, then you’ll have to place your loans in one of the four income-driven plans. The longer your debt repayment period be, you’ll end up paying a lot more interest than you would have to actually pay due to accumulated interest rates over the years. Your career and financial conditions are subject to change. You would become ineligible for income-driven repayment if in any case your income increases. For example, if your income increases and you’ll have to shift to regular repayment, then all the benefits of income-driven repayment that you expected to receive will go waste. There are possibilities for a higher tax bill. Even if your loan balance is completely wiped out due to income-driven plan, you will remain answerable to tax bill generated as a result of the taxable income. The number of people who have received student loan forgiveness has been less so far. The first borrowers became eligible to apply for the program in 2017. Out of it, only a fraction of applicants has received loan forgiveness so far. Private loans are mostly not eligible for loan forgiveness programs. Student loan repayment programs will help you pay your debt off. Partial debt relief is offered in exchange for qualifying service in a few of the states and organizations. Thus student-loan forgiveness programs do not only have pros. 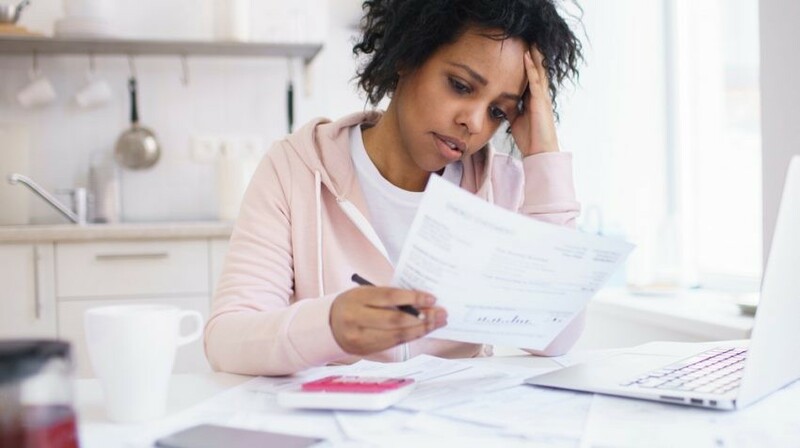 If you have sufficient financial stability, try to pay off your student loan debts as early as possible rather than hoping for forgiveness that you are not sure to receive. There is another point to be taken into consideration. More than the student loan forgiveness programs, it would be much beneficial to try to reduce the educational expenses at the college. It would definitely be a better option to increase the income of students rather than paying off their debts. Harder is the case of those graduates who left college before graduation, i.e. is they have left college with debt but no diploma or degree. Payment becomes an issue if all students cannot find employment directly related to their jobs. Those smart students with better networking abilities find better jobs faster which help them pay the debts faster. So, for the student to really be able to repay the debt, skill is a must. For those who do not have the necessary abilities loan forgiveness programs act as the best options. Judging the institutional quality based on the number of loan defaulters is for whatever reason not good. Be wise in applying for student forgiveness, as it is a comparatively newer program. Let us try to reduce the number of denials by properly meeting the program requirements, and reducing missing or incorrect information. 1 - What is the qualification to obtain a student loan forgiveness? A public service loan forgiveness program can be obtained after 120 payments or 10 years of service. Moreover, there is no dollar cap on the amount of money that can be forgiven. 2 - Are student loans forgiven after 10 years? Public service or non-profit employers can have their loans forgiven after 10 years. 3 - Are student loans forgiven after 25 years? Though you have to pay taxes for the remaining amount, student loans are forgiven after 25 years. 4 - What happens to student loans after 7 years? After 7.5 years from the first missed payment, the debt will fall off a report. 5 - How can I get rid of my student loans fast? A few strategies to be followed to pay off the student loans faster includes paying more than the minimum amount, making extra payments, refinancing the student loans, starting a side hustle, using the job to your advantage, interest rate deductions and many more. One cannot be sent to jail or be arrested for not paying student loans. Failure in payment of student loan, credit card or hospital bill is considered as civil debts. 7 - Can a student return to school if he has any unpaid student loans? If the student loans are in default, you'll not be able to return to school. However, if the requisite back payments are made and a payment plan is worked out with the lender, then the student can return to school. 8 - Do student loans expire? Student loans do not expire. However, they can be subjected to forgiveness for a given duration. 9 - When did the first loan forgiveness happen? Student loans were forgiven for the first time on September 30, 2018, by the Department of Education. 10 - Which loans qualify for loan forgiveness? Student loan forgiveness is offered to any loan made under the Direct Loan Program.